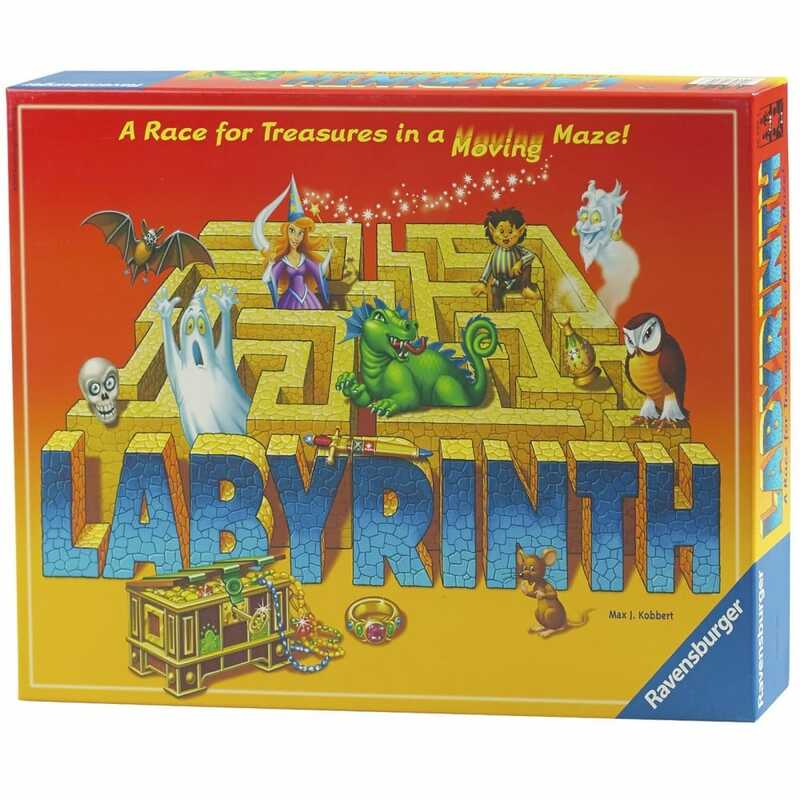 Make your way through the labyrinth, avoid the traps and out manoeuvre the other players with clever wall-moving-strategy. Collect all your treasures by creating a clear path, a game with magical moving walls. Contents: 1 x Game board, 34 x Maze cards, 24 x Treasure cards, 4 x playing pieces and instructions.